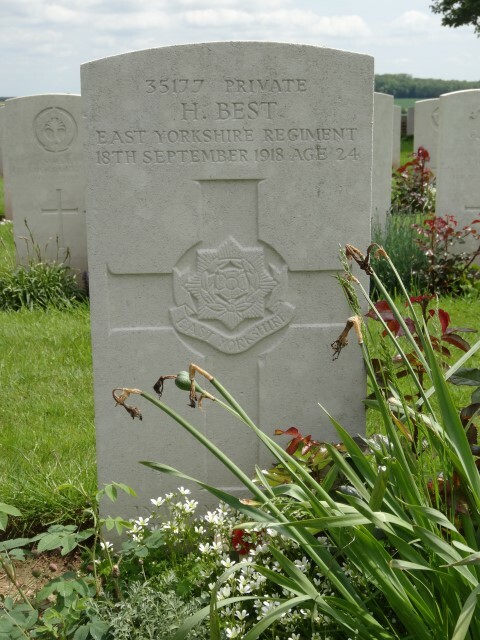 35177 Private Henry Best, 7th Battalion, the East Yorkshire Regiment was killed in action 18 September 1918 and is buried at Gouzeaucourt New British Cemetery. He was 24 years old and is commemorated on the war memorial in St. John’s Church, Ingleton, Co. Durham. 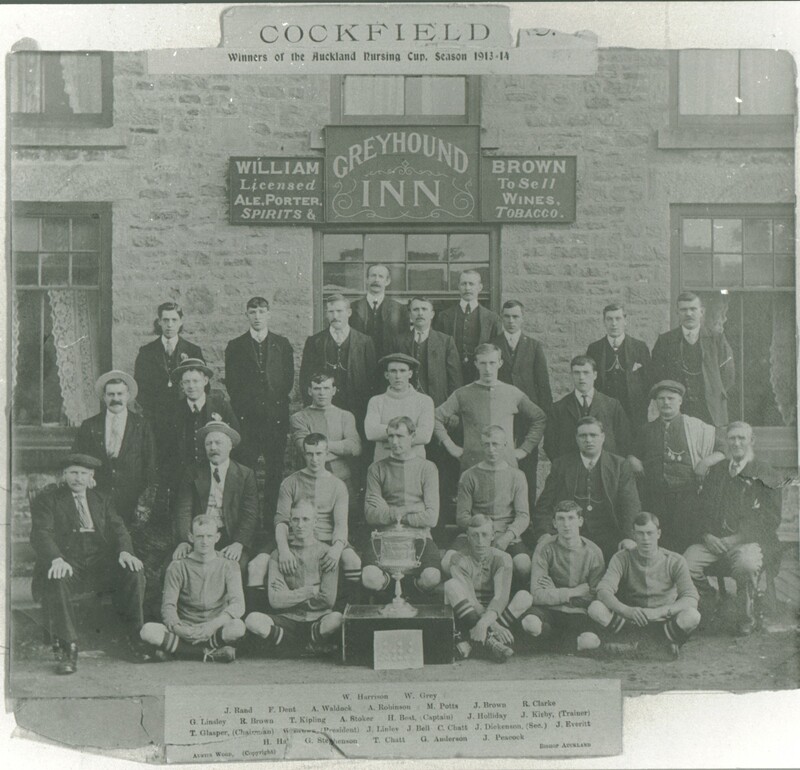 In 1901 the family lived at Wackerfield where 42 year old George worked as a general labourer. By 1911, the family still lived at Wackerfield, George still worked as a labourer and 23 year old John George worked as a mason, 21 year old Herbert worked as a coal miner (hewer) and 17 year old Henry was a “store wagon boy”. By 1915, Henry worked at the Evenwood Co-op as a draper. 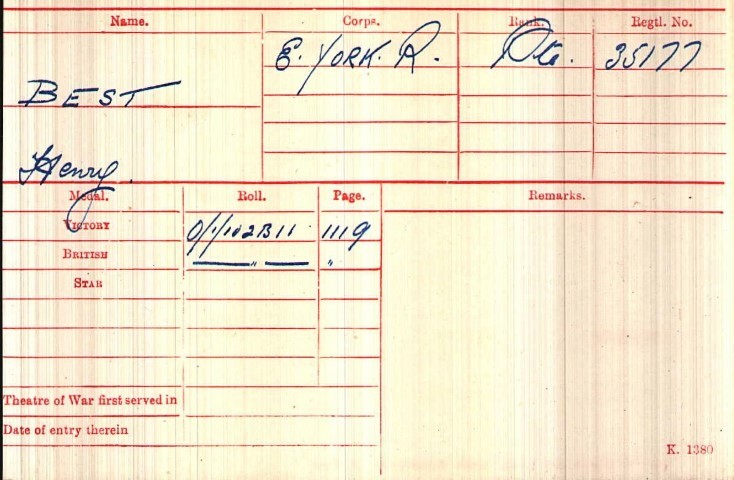 8 December 1915: Henry Best attested aged 21 yrs. 9 months and joined the 16th Battalion, the Durham Light Infantry. He was allocated the regimental number 28388. He stood 5’4” tall and weighed 120lbs and was deemed fit for service. Private H. Best was with the Army Reserve until he was mobilized 24 January 1916. Private H. Best served a total of 2 years 285 days. Private H. Best was awarded the British Wat and Victory medals. Private H. Best is commemorated on the war memorial in St. John’s Church, Ingleton, Co. Durham. 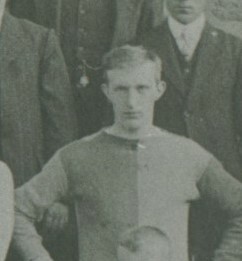 Cockfield FC were winners of the Auckland Nursing Cup 1913-14 and H. Best was the captain. Henry Best lived at Wackerfield near Cockfield and this MAY be him. But Henry was quite short in stature, about 5’4″ and this player seems taller. It may be his brother Herbert Best. Further research is required to confirm or otherwise.